Ophthalmology is a branch of medicine that deals with the health of the eye. There are many careers within the field of Ophthalmology. These range from Ophthalmologists, Optometrists, Orthoptists, Ophthalmic nurses and Dispensing Opticians. Ophthalmologists are medically trained Doctors who have specialised in the diagnosis and treatment of eye diseases. They work primarily within the hospital sector and are qualified to operate on the eye. Ophthalmologists either become General Eye Surgeons which means that they can operate on most areas of the eye. 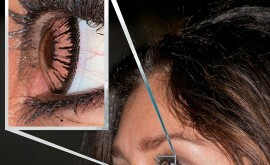 Others choose to specialise on one or a few areas of the eye. Optometrists study Optometry and become eye care professionals who conduct eye examinations, contact lens fittings and assess the health of the eye. They are qualified to diagnose eye disease and depending on the level of their qualifications, can manage and treat certain eye conditions . Optometrists are able to work within a hospital, private or university sector. Within the hospital sector they work closely alongside Ophthalmologists, Orthoptists and Nurses. Privately, they can work with other Optometrists and Orthoptists. Ophthalmic Nurses are Nurses who have had special training to care for people with eye disorders. They assist Ophthalmologists by performing pre­operative assessments for patients prior to their eye operation. They also assist the Ophthalmologist during surgery and also post surgery. Some Nurses train further and conduct minor surgical procedures. Dispensing Opticians study Dispensing Optics and become a technical practitioner who can design, fit and dispense spectacle or contact corrective lenses to a patient to correct their sight. They are able to work in a hospital or private setting. Ophthalmology varies from country to country . The mentioned careers are conducted within the United Kingdom and may not apply in other countries. The field is continually progressing and the above information outlines the main roles involved within the professions. There is scope for more and more growth everyday and that’s why it’s so important to keep up to date with the latest news and developments within the field.